The term means "writing with fire", from the Greek pur (fire) and graphos (writing). It can be practiced using specialized modern pyrography tools, or using a metal implement heated in a fire, or even sunlight concentrated with a magnifying lens. 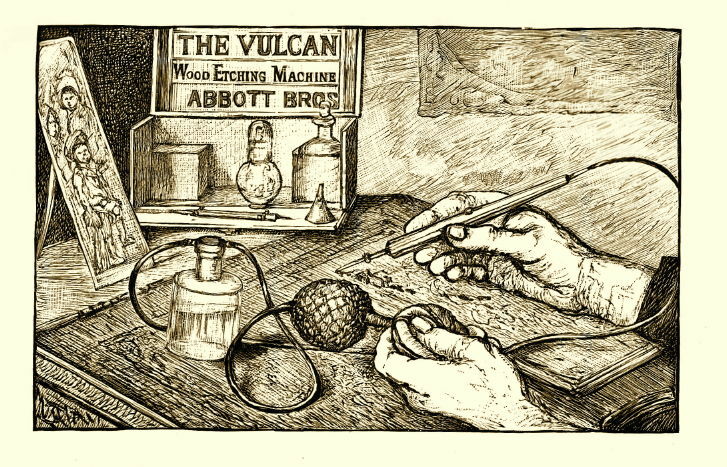 "Pyrography dates from the 17th century and reached its highest standard in the 19th century. In its crude form it is pokerwork." A large range of tones and shades can be achieved. Varying the type of tip used, the temperature, or the way the iron is applied to the material all create different effects. After the design is burned in, wooden objects are often colored. Pyrography is also applied to leather items, using the same hot-iron technique. Leather lends itself to bold designs, and also allows very subtle shading to be achieved. Specialist vegetable-tanned leather must be used for pyrography (as modern tanning methods leave chemicals in the leather which are toxic when burned), typically in light colors for good contrast. Other surfaces, include, Watercolor paper, Bristol Board, Cotton, Cotton Canvas and Tagua, (vegetable ivory). 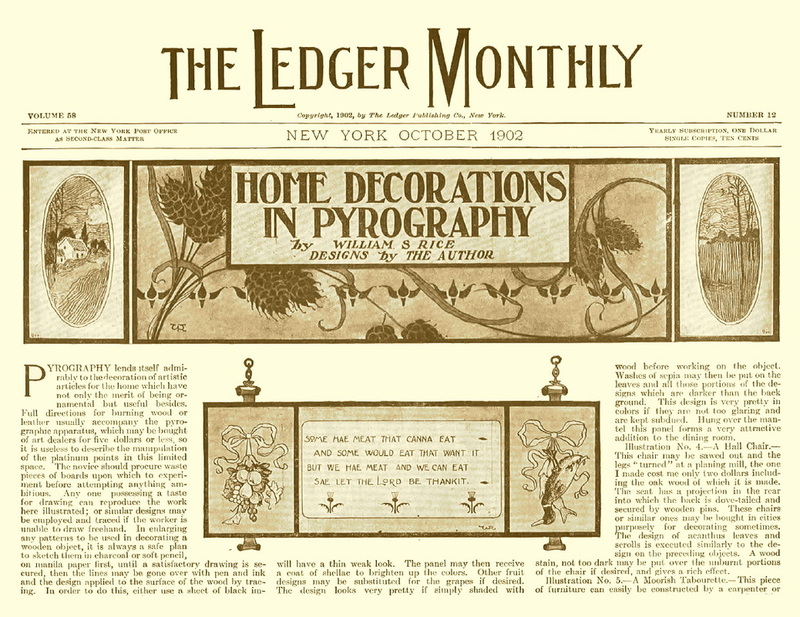 By the turn of the last century, pyrography had become very popular. In Great Britain, it was generally referred to as "the fireside craft". It was a popular pastime during the winter months. Most of the tools back then were heated using butane fuel, which was sprayed onto the hot burning tip. 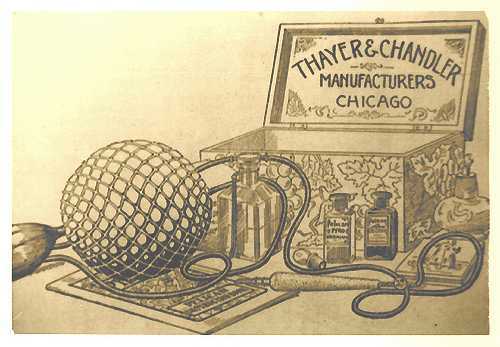 It was a dangerous procedure and was possibly the cause of many injuries and subsequent house fires. Eventually, the tools were heated via electricity, using a transformer/controller. 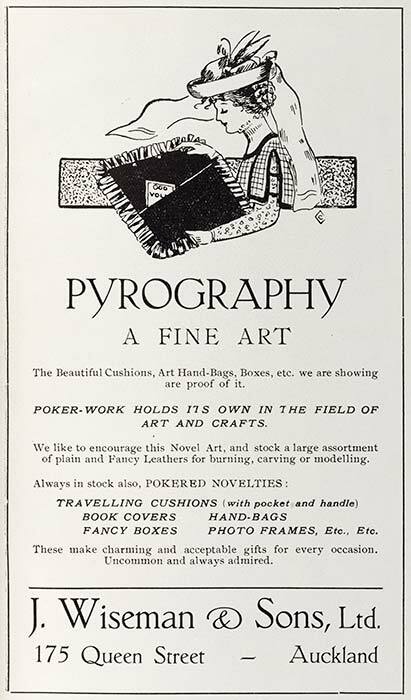 During the great depression years in Australia, some people were paid a few pennies to burn various designs onto objects like, wooden vases, jewellery boxes and doyley covers. Although it had very little value back then, today this "depression art" has become very collectible. Like most arts and crafts, interest in pyrography waned with the onset of World War 2 and it wasn't until the1970's , that it began to gather a new spurt of life. Today pyrography artists can be found right across the World and, with the introduction of the Internet, the interest in it has accelerated greatly. There are many pyrography artist's web sites, Facebook groups and YouTube videos to visit and view... and,in most cases, to learn from.